Three times a charm! 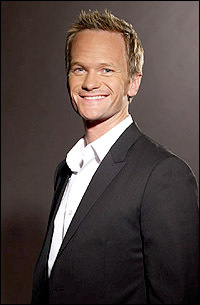 Neil Patrick Harris has been tapped as the host of the 66th Annual Tony Awards. Harris, who will also serve as a producer, is bound to entertain! How will he top last year's praised opening number (which I am in the minority for disliking...)? Do you think Harris is the official face of Tony hosting? Do you wish it was Hugh Jackman? Rather, do you wish it was a tag team of Jackman AND Harris?